As a runner, figuring out how to navigate the grocery store can be a unique challenge since our active bodies require a highly nutritious diet. And certain aisles will have more of what your shopping list is looking for than others- you just have to know where they are! 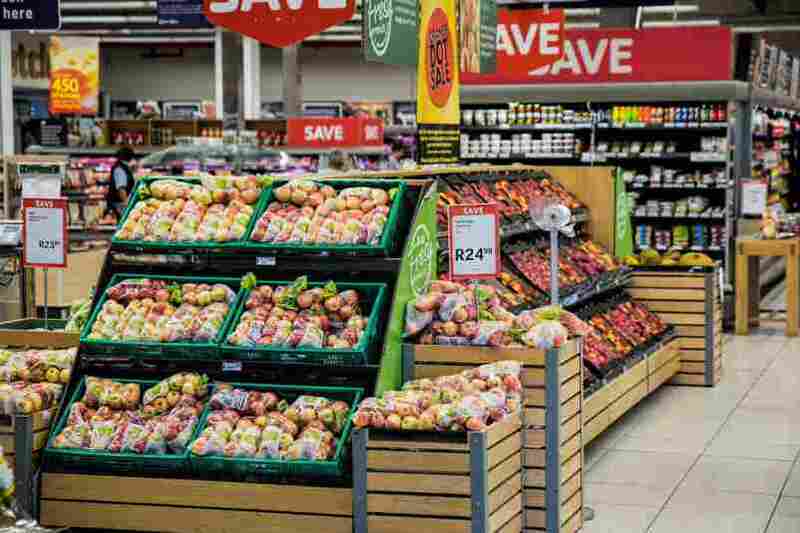 Most grocery stores can be broken down into the same layout and sections, so we’ve explained below which areas to focus on and go to first, and which areas you should shop in sparingly. So where should you begin? The quick explanation is this: the outer “edges” (think the four walls) are where the “good” stuff is. This is typically where the produce and refrigerated foods are, as well as some frozen foods. This will be where you find your fresh fruits and veggies, lean proteins, dairy products, and quality whole grains and whole wheat carb sources. The interior is where you will find a lot of stuff that is (admittedly) pretty yummy but is sold in cans, boxes, and as a prepackaged food. 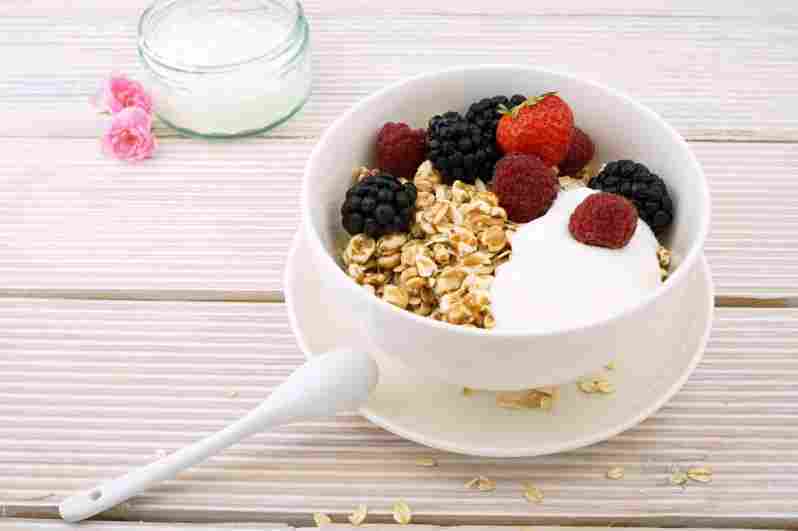 While these foods certainly serve a purpose, they are probably not the best choices to fuel your runs. Let’s start in the produce section since that is typically the first area when you enter the store. 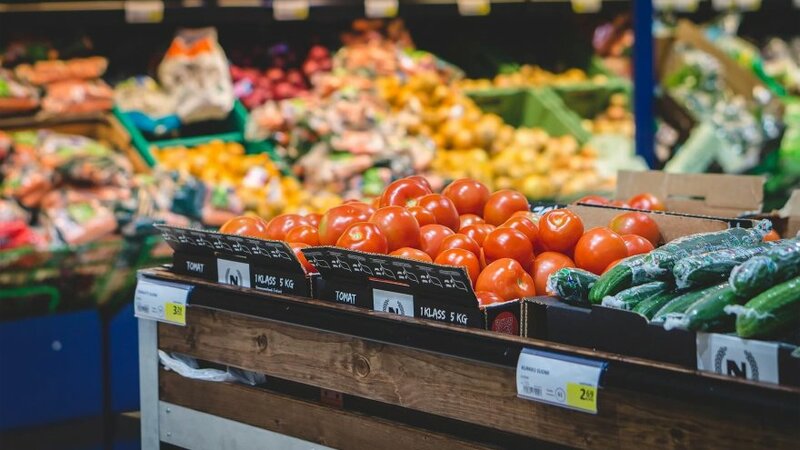 (And this works well because fruits and veggies can stay in your cart a little longer than other refrigerated products while you continue shopping.) For produce, you want to stick to seasonal options because these will be the freshest, and often the tastiest. Plus, eating seasonal foods allows you to have a diverse selection of fruits and vegetables throughout the year to help change things up so you don’t get bored of the same recipes on repeat. Make sure you fill your cart up while you are in the produce section, too. Fruits and veggies will give your runners body a lot of vital vitamins and nutrients. Plus, fruits are a good sources of carbohydrates to fuel your long run. And both vegetables and fruit are incredibly versatile and can be incorporated into a variety of recipes and meals. Next, let’s talk about the bread section. Bread sometimes gets a bad rap, and as is true with anything, moderation is important. And it is certainly necessary to get in a source of quality carbohydrates if you are a runner! Carbs fill up your glycogen stores, and glycogen is what our bodies first choose to burn for energy. So we NEED that bread! We just also need to understand which kinds to go for the majority of the time. White breads and simple carbs, while still providing energy, provide a much faster burning energy. 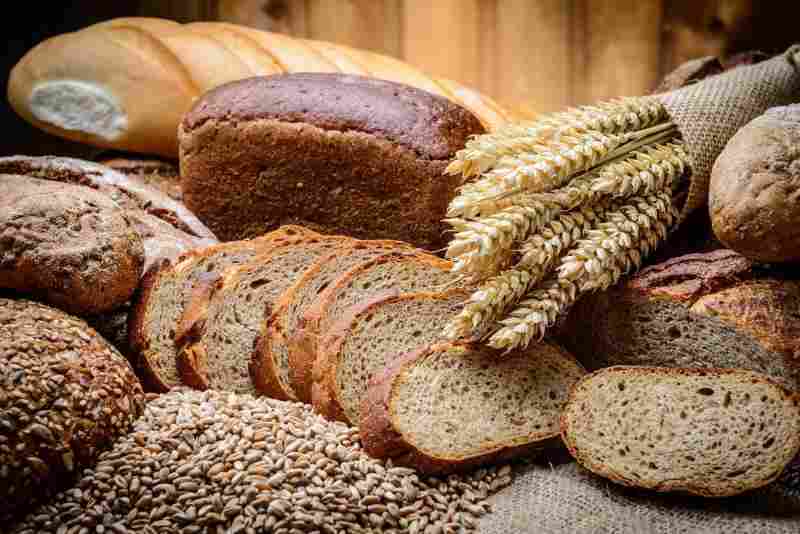 If you want a carbohydrate source that digests slower, helping provide a more constant supply of energy and keeping you fuller for longer, go for the whole grains and whole wheat breads. A bonus? These kinds of breads and grains are often more flavorful and have diverse textures that make for a more palatable and satisfying taste experience. Carb-loading lovers rejoice! On to the dairy, eggs, and meats! Runners need a lot of protein. For starters, it helps fill you up for longer. “Runger” is a REAL thing, and can quickly turn into “hanger,” so it’s wise to stock up on good sources of protein to avoid losing your cool with friends and family members when the hunger strikes. Secondly, protein builds muscle and helps you recover. It’s imperative that you get in a good source of protein within a few hours after finishing up a hard workout so that your body can properly recover and repair itself so that you can come back stronger. So what are some good options? 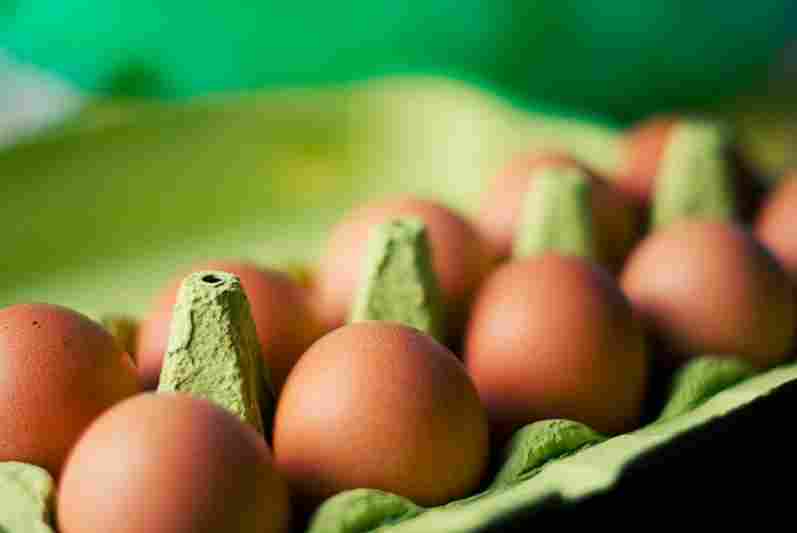 Stick with “protein dense” foods that are packed with protein but lower in calories than some other options. This looks like lean meats (chicken, turkey, and deli meats) and fish for lunches and dinners, low fat or fat free milks, cheeses, and Greek yogurts, and eggs. Lots of eggs! (They are super versatile, can be prepared in many different ways, and can be eaten at every meal or as a snack). Protein powders and bars certainly serve a purpose. They’re convenient and sometimes that’s all we have time to grab. But when you can, go for those other sources. Now it’s time to hit up the middle aisles. There are definitely a few pantry staples in the aisles that every runner needs – peanut butter for a quick source of protein and healthy fats, oatmeal, brown rice, and quinoa for a healthy carb source, plus olive and vegetable oil in which to cook those veggies and meats. Other than that though, this area of the grocery store is where we can quickly get into trouble with our diets. Save the candies, packaged chips and treats, and ready-to-eat frozen meals for special occasions. We’re definitely not telling you to cut them out altogether. But moderation is best, and if you stick mostly to those healthier options day-in and day-out, your running will thank you. And remember – NEVER go grocery shopping when you’re hungry. You’re much more likely to succumb to too many treats and a lot higher grocery bill.